Wide Variety of Sports, Arts, and Science programs to choose from! Girls have an opportunity to participate in many fun and crafty activities. Past examples include making bath salts & lip gloss, tie-dying t-shirts, clay works and more. Girls will also have the chance to indulge and learn how to do their own manicures! What every parent wants in a safe and responsible babysitter! Learn to care for children and infants, be a good leader and role model, handle emergencies such as injuries, illnesses and household accidents and learn age appropriate games and activities. All this can be easy and fun with the Red Cross Babysitting Course. Each course graduate will receive a manual and certificate. Players learn the different aspects of baseball including hitting, bunting, fielding, catching, throwing, sliding, base running and pitching. This program teaches campers to have fun singing, acting and dancing while developing the self-confidence to perform in front of others. Children will learn to enjoy performing and discover their hidden talents. This program is geared towards developing stage presence, acting techniques and choreography. Campers will learn a variety of Broadway, Disney and Pop songs and have a chance to perform in front of the camp at the end of the week. This program challenges campers to build creative structures using different mediums. Using Lego, Maze Runners, K’nex and other Building Tools, children will learn to create, design, plan and build. They will make cities, invent new methods of transportation, create homes of the future, animals and so much more! For the creative and imaginative campers, there are a wide variety of fun and exciting craft activities that campers get to take part in. Some examples from the past include mask making, canvas art, papier cache, candle making and more! Campers take home all their craft creations as a reminder of their amazing camp experience. Our summer dance program focuses on developing each dancer’s technique in a variety of styles such as jazz, modern and hip-hop. This program is geared towards learning choreography and on improving each dancer’s style, stage presence and confidence. Campers will learn an original routine and have the chance to perform in front of the camp at the end of the week! Have fun playing some of our camp wide favourite games, Dodgeball, GAGA and Tetherball! You will learn all of the rules for each game, special techniques on how to win the game and compete in group tournaments at the end of the week. Here is your chance to become a crime scene investigator, explore mock crime scenes, collect evidence and uncover hidden clues. Our staff will set up several mock crime scenes, and campers will use their skills to examine and interpret the clues and data found at the scene. Campers practice driving, chipping, bunker shots and putting. Instruction is provided by Riverwood Staff at Carruthers Creek Golf & Country Club. Campers will also play a par 3 course and learn about the rules of the game, what clubs to use and golf etiquette. We are thrilled to be partnering with Scarborough Gym Elites for the first time ever to offer a Gymnastics optional specialty program. Taught by certified coaches, the gym boasts a wide range of gymnastics equipment and training aids, including bars, balance beams, a spring floor, vaults, rings, tumble track, in-ground trampolines and foam pit. Great for all different levels, beginner through advanced and campers will have a chance to rotate through all the different apparatus. In addition, ALL campers enrolled will receive a Gymnastics Ontario membership valid through until June 30, 2019 and can be used at any Gymnastics Ontario member club. Qualified English riding instruction is provided by Stonewood Equestrian. 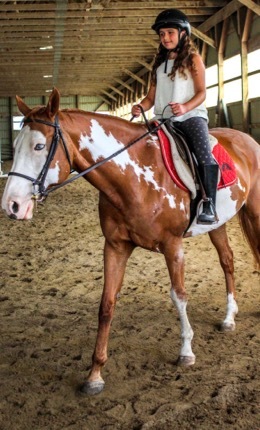 Campers will also have the chance to learn about stable management, grooming, safety around horses, and tacking up. There is no trail riding. A 45 minute daily Red Cross Swim Lesson is provided in a safe and fun environment by qualified instructors in partnership with the City of Pickering at Dunbarton Pool. Campers improve their swimming skills, performance, stroke technique, and confidence. At the end of each session campers receive a swim report to take home. This program is all about using different kinds of beads and techniques to make many amazing projects! Examples include keychains, bracelets, dream catchers and more! Campers will even have the chance to make their own memory box to keep their creations safe! Working together, campers will learn to design, build, customize, and program their very own Lego Robot! Campers will have the chance to run them through an obstacle course, competing to see which team can build the ultimate Lego Robot. A fantastic introduction to magic and the art of illusion. Campers will learn tricks that will “WOW” their friends and family. 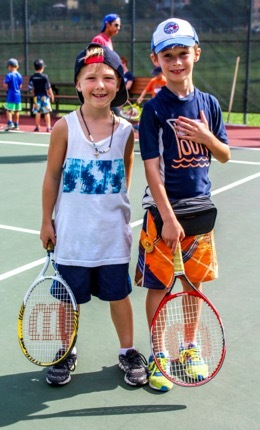 Campers have an opportunity to learn and have fun in a wide range of sport activities. Some examples include Flag Football, Speedball, Ultimate Frisbee, Handball, and more! This program is geared toward teaching campers the rules, skills and techniques of various sports. Emphasis is on FUN and team building skills! Campers will have the opportunity to explore and create using different types of clay and techniques. Projects will allow students to bring home amazing creations while having a great time! Indoor rock climbing is a great way to build confidence, coordination and balance. Campers are supervised by trained climbing instructors provided by Rock Oasis and will learn to climb a variety of challenging and fun rock walls. 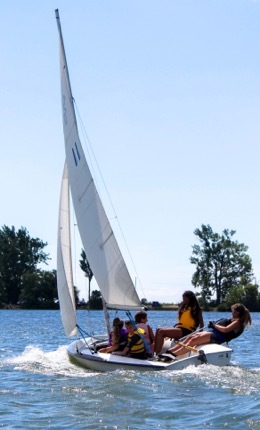 Hosted by Frenchman’s Bay Yacht Club (FBYC), just around the corner from Camp Riverwood, campers will learn to sail in one of three different sized boats depending on their age and ability. FBYC instructors focus on safety, having fun, and spending as much time in the boats as possible. This program will intrigue the skateboarding, scooter riding and rollerblading enthusiasts alike. The variety of half pipes, ramps and rails will challenge all campers. 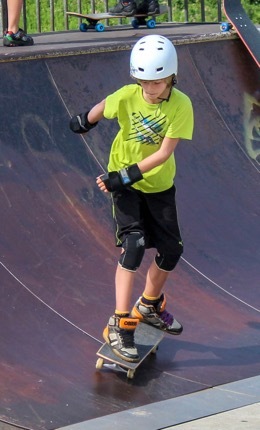 In-line skates, scooter or skateboard, along with CSA approved skateboarding helmet, wrist guards, elbow and knee pads must be supplied by the camper. All aspects of soccer will be covered during the week. This program consists of team tactics and individual skills including passing, heading, free-kicking, shooting, goalkeeping and more. Emphasis is on developing sport-specific skills and the essentials of being an excellent team player. Fascinated with space! Blast off into the world of rockets! Take a journey through the solar system and learn all about the planets plus other stars and galaxies. Campers will also learn the fundamentals of designing and building rockets. Each camper will have an opportunity to design, build and paint their own rocket and launch it at the end of each week. Each day campers will roll up their sleeves and mix together ingredients creating treats that may include Candy Sushi, Cookie Creatures and Cake Pops. Qualified tennis instruction is provided by Pickering Tennis Pros and is designed to focus on all aspects of the game including forehands, backhands, serves, volleys and overheads. Learn cool tricks, jumps, and have fun on the tumble track and on the floor. This indoor facility is also equipped with kids ninja elements where campers learn skills necessary to run, swing, vault, roll & climb! Ultimate Canadian Athletics teach this program. Video Game Creator is all about creating, designing and playing your very own video games. Throughout the program, campers will be able to create a variety of different video games with multiple levels. At the end of the week, each camper will receive a link where they can play their games and those of other campers online. Let the games begin! Offering a hands-on interactive program that challenges campers to think and explore the hows and whys of science. Campers will perform experiments and watch live demonstrations.